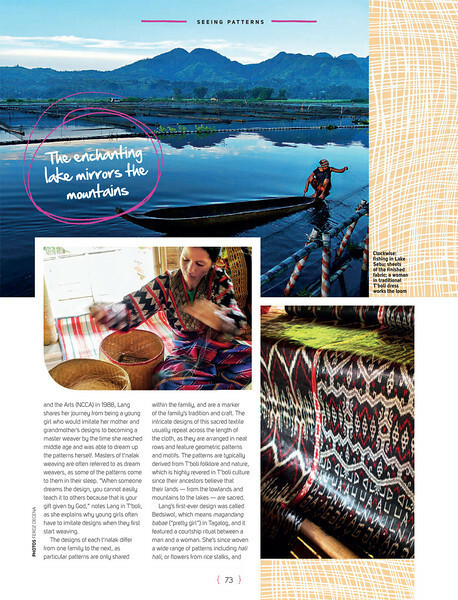 Lake Sebu is one of my favorite places in Mindanao and is one of my early explorations in the area. 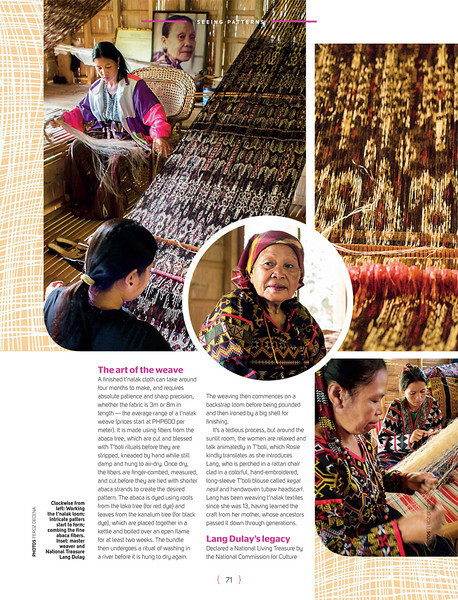 The Tboli people and their weaving are featured in the month’s Cebu Pacific Air’s Smile Magazine. 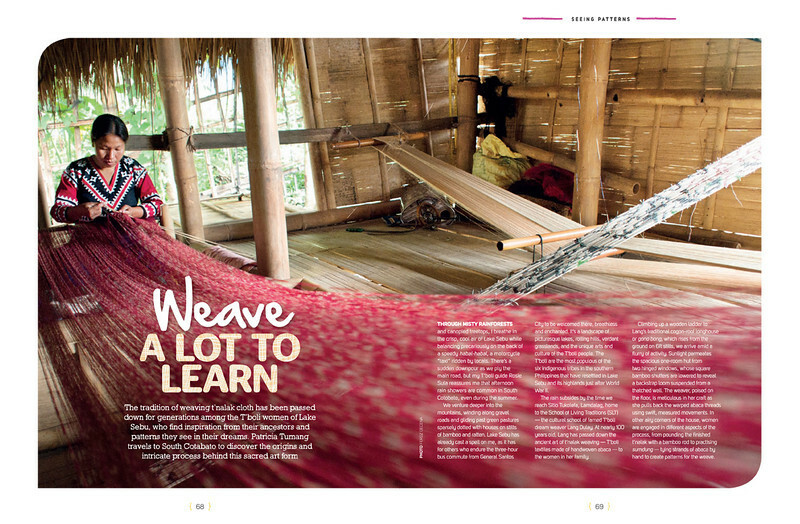 The story “Weave a Lot to Learn” tackles on the Tboli Dreamweavers. Also featured on the story are some of my images, from the opening spread to the next two pages. You can read the online version of the story at the CebuSmile website.